iFlowBPM has success proofs in diverse areas, solving different challenges. We present you some iFlow BPM success cases, for a better understanding of each one. A Portuguese Fujitsu call center detained a vacation scheduling system extremely inefficient through Excel sheets. In a work place with hundreds of employees was really complicated the schedule control, especially when the system is used by all teams. Information losses were the main problems. 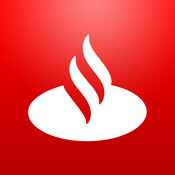 Santander Totta had a problem in the decision approval mechanisms. These approvals were required to proceed with determinate processes like visit cards approval, stamps, and so on, and were made by email or in paper sheets resulting in a lot of paper in the company, information loss, repetition and decentralization. For internal processes, Obrecol used a system based on circulation of diverse paper forms filled in by company employees, requiring subsequent physical submission to obtain the necessary approvals. Constant failures were caused during this process, high costs forms circulation, archives increasing, huge needed time to treatment of these forms and decreasing of the company productivity. Abrantes City Council didn’t have any workflow and documental management solution. All the processes were in paper archives. This situation led to an impossibility of knowing the exact location of files and processes transaction difficulties between employees.